The U.S. Supreme Court granted a writ of certiorari in Brumfield v. Cain, a death penalty case from Louisiana dealing with intellectual disability. Kevan Brumfield was sentenced to death prior to the Court's decision in Atkins v. Virginia (2002), which banned the execution of defendants with intellectual disabilities. After that ruling, Brumfield filed a claim of intellectual disability in state court. The court denied him a hearing because the trial transcript showed no evidence of his disability. A federal district court found that the state court had "mistakenly – and unreasonably– considered the record from Petitioner’s pre-Atkins penalty phase as determinative of Petitioner’s mental retardation claim under Atkins," granted Brumfield a hearing, and found him to be intellectually disabled and therefore exempt from execution. The U.S. Court of Appeals for the Fifth Circuit reversed the federal district court's decision. Brumfield's attorneys said, "As a result of this decision, the compelling evidence presented to the district court will be ignored, and a person who was found to be mentally retarded will be executed." The Supreme Court will determine whether Brumfield should have been granted a hearing on his claim of intellectual disability. The U.S. Supreme Court will begin its 2014-15 term on October 6. One of the cases the Court will hear during its first month is Jennings v. Stephens, a Texas death penalty case involving ineffectiveness of counsel and whether a separate appeal is necessary for each such claim. Oral arguments will take place on October 15. 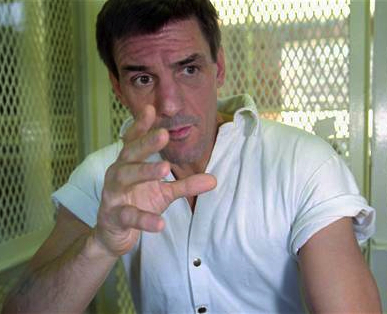 The Court has been asked to review an appeal from Scott Panetti, another death row inmate from Texas, who may be mentally incompetent. Last year, the Supreme Court struck down Florida's strict IQ cutoff for determining intellectual disability. In that case, Hall v. Florida, the Court concluded that "Florida’s law contravenes our Nation’s commitment to dignity and its duty to teach human decency as the mark of a civilized world." Scott Panetti is a death row inmate in Texas, who has been diagnosed with schizophrenia and schizoaffective disorder and believes he is at the center of a struggle between God and Satan. The state has continued to insist he is competent to be executed. Panetti represented himself at his trial, appearing in court wearing a cowboy outfit and making bizarre, rambling statements. He attempted to subpoena Jesus Christ, the pope, and 200 others. He was convicted and sentenced to death. In 2007, the U.S. Supreme Court granted Panetti a rehearing on his claim of incompetence, saying that the state's definition of insanity was too restrictive. The state has maintained that because Panetti acknowledges he is being executed for the murder of his in-laws, he is sane enough to be executed. Pointing to the testimony of psychiatric experts, his lawyers have argued the state's simple cause-and-effect criterion is insufficient to establish sanity, especially considering that Panetti views his crime through a lens of delusion. They have asked the Supreme Court to again consider the case, arguing that the state's definition is still overly restrictive and ignores the complete picture presented by Panetti's history of serious mental illness. In a brief filed with the U.S. Supreme Court, eight retired judges recently asked the Court to review the case of Texas death row inmate Rodney Reed. Reed is scheduled to be executed in January 2015. While the judges, who served on federal and state courts in many jurisdictions around the country, did not take a stance on Reed's innocence claims, they urged the Court to hear his appeal so that new evidence in the case could be examined under the light of cross-examination in a full hearing, rather than just through the review of legal papers. "That is not how our system of justice is designed to operate," the judges said. "When courts have only affidavits without witness testimony, they lack the means of testing the accuracy, reliability, competence, scientific acumen, proper training and judgment of the [person testifying]." Reed is claiming that his trial lawyers did not adequately investigate forensic evidence that experts now say might be unreliable. A three-judge panel of the U.S. Circuit Court of Appeals for the Fifth Circuit rejected Reed's appeal because they found the new testimony unpersuasive as presented in appellate briefs. The eight judges who petitioned the Supreme Court said the evidence should have been heard by a district judge in an evidentiary hearing, rather than by the appeals court. "Trial courts are the appropriate venue for developing a factual record and resolving questions of fact," they said. See list of judges below. The theory of the modern death penalty is that it is to be reserved for the "worst of the worst" offenders. In 2005 the U.S. Supreme Court determined (Roper v. Simmons) that those under age 18 at the time of their crime were less culpable than older defendants and should be excluded from the possibility of execution. However, a recent paper by Hollis Whitson (l.) argued that scientific research on older adolescents implied that the Court's analysis should also apply to those under 21. Whitson cited neuroscience research showing, "that older adolescents (including 18-20 year-olds) differ from adults in ways that both diminish their culpability and impair the reliability of the sentencing process." Moreover, youths under 21 are treated as minors by numerous state and federal statutes, including liquor laws, inheritance laws, and eligibility for commercial drivers' licenses. Another problem highlighted in the paper is that minority youth suffer from the application of this punishment more than white youths. From 2000 to 2014, 60% of those executed for crimes committed by 18-20 year-olds were racial minorities, while only 40% were white. For defendants aged 21 and older, the reverse was true: 40% of those executed were minorities, while 60% were white. UPDATE: The U.S. Supreme Court issued a stay of execution, pending the outcome of a review by the U.S. Court of Appeals for the 8th Circuit. The Court further noted: "We leave for further consideration in the lower courts whether an evidentiary hearing is necessary." Earlier: On May 20, just hours before a scheduled execution in Missouri, the U.S. Supreme Court, acting through Justice Samuel Alito, granted a temporary stay to Russell Bucklew. Bucklew has a congenital medical condition that impedes his breathing and presents a grave risk of a very painful death by lethal injection. He was to be executed at midnight on May 21, but a three-judge panel of the U.S. Court of Appeals for the Eighth Circuit issued a stay on the evening of May 20, saying his "unrebutted medical evidence demonstrates the requisite sufficient likelihood of unnecessary pain and suffering beyond the constitutionally permissible amount inherent in all executions." That stay was lifted by the full 8th Circuit, but reinstated by the Supreme Court without comment.